I have a 3 year old boy whose idea of the perfect meal is either a plate full of rice and scrambled eggs or rice & chicken. Making him eat veggies has always been a challenge. It's either he finds them "yucky"'or he throws a fit whenever I put a brocolli on his plate. I know some of you moms can relate with me. 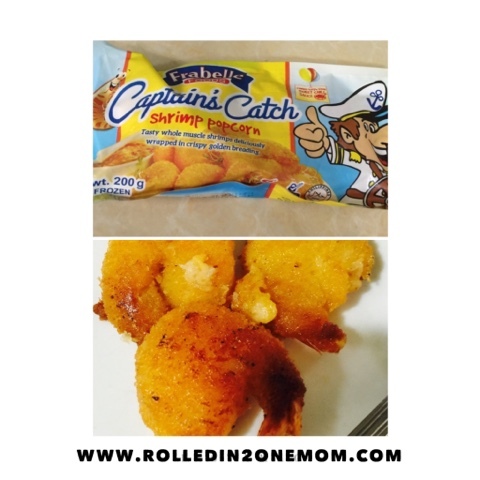 And I know, we all have tried to come up with creative ways to feed our tots! 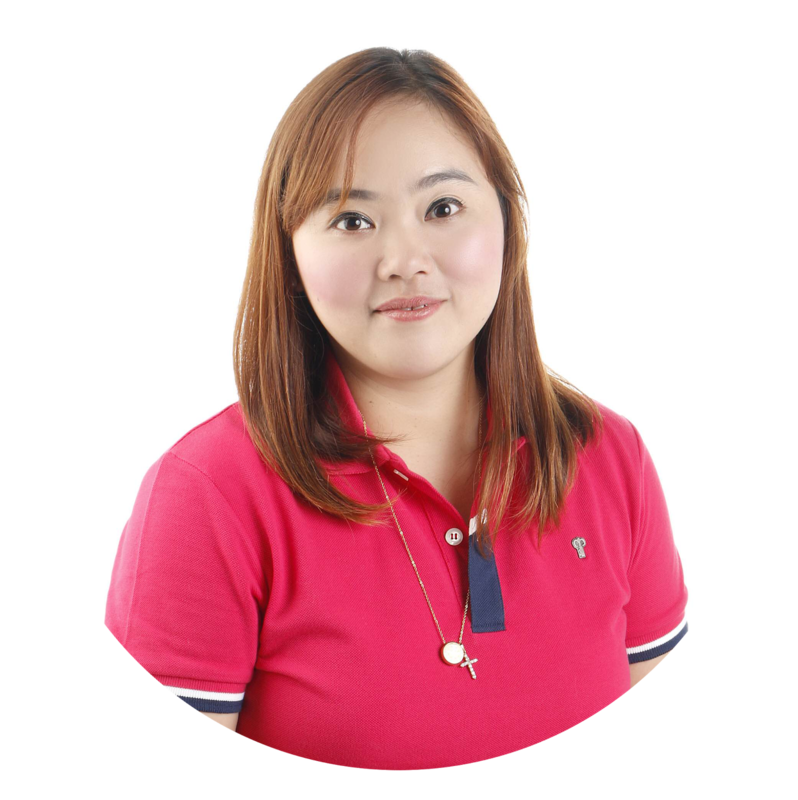 One of the things I'm glad about being a member of Mommy Bloggers Philippines is that I get to ask advice from other mommies like me about all things that concern parenting. One of which is getting my boy to eat more than the usual chicken or egg. 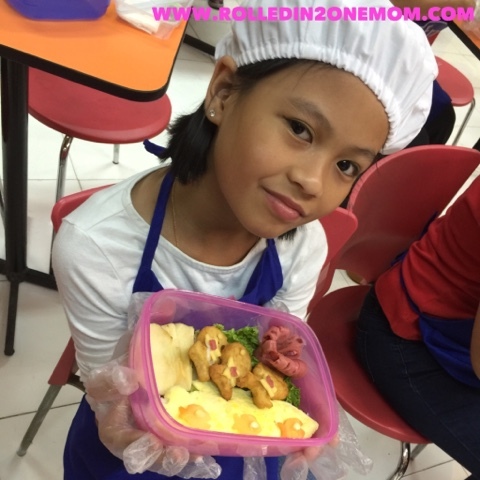 So, when I found out that there's going to be a workshop where mommies will be taught how to do bento - a creative way of designing meals for your kids - I knew it was the chance I've been waiting for. I've been seeing other mommies posting their bento creations on my newsfeed. Just like calligraphy, this is also part of my bucket list. 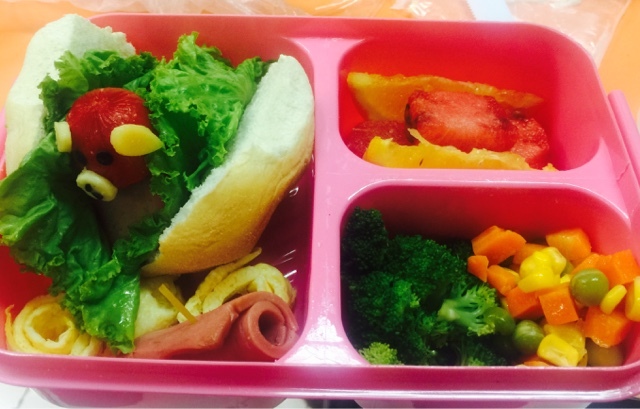 I want to be able to create my own bento lunch for my 3 year old and my 9 year old niece Sofia. Of course, my niece who is in 4th grade has been constantly encouraging me to give bento-making a go since she has been seeing her classmates bring their own bento lunches to school. 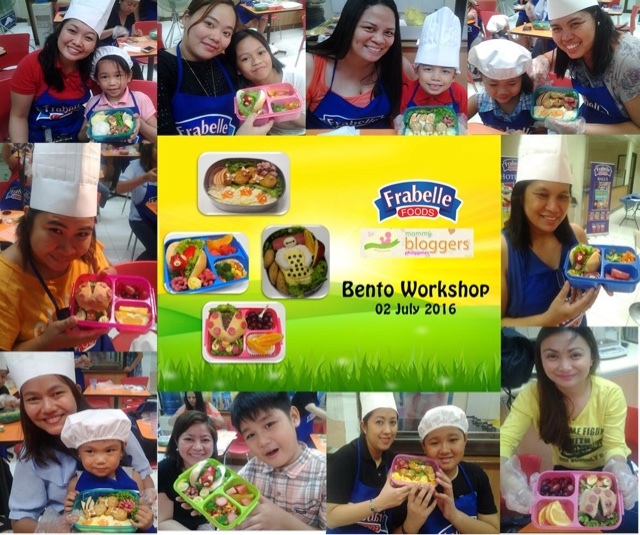 So yes, I signed up for Frabelle Foods Bento Workshop held in the far-off place, Navotas...Hahaha. Chef Donne of Frabelle Foods facilitated the event. There are so many ways to design your bento box. You just need to use your imagination. Being creative and thinking outside of the box are the key things in being able to come up with your own unique bento creation. If there's a short supply of creative juices, then you can simply check inspirations online! 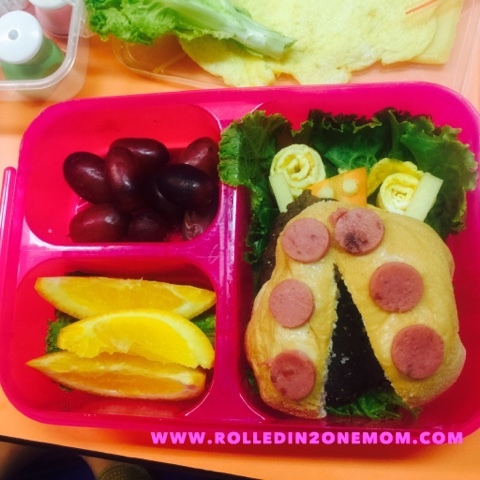 An example of creativity is the Piggy In A Bun bento box we copied from Chef Donne's recipe. If you are the competitive or uptight type of Mom, then here's an unsolicited advice - loosen up! Always keep in mind that it's the experience and memories that you get to share with your kids that matters more. 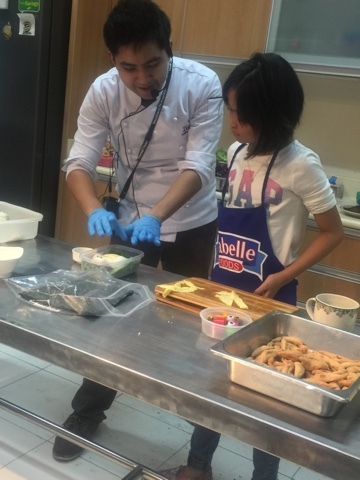 Much like when we were copying Chef Donne's Seascape Bento Box - I saw my niece Sofia having loads of fun while nibbling on the ingredients - it made me chillax a bit. Yes, there's nothing more enjoyable than being able to share the messy, fun and enjoyable process of bento-making with your kids, friends and family! I realized that when we were making the Lady Bug In Paradise Bento Box - being able to share the fun and teaching my niece the steps in making the bento is rewarding. Yes, bento making will require you to use your hands most of the time. 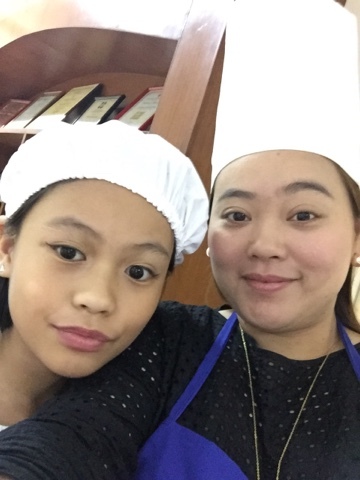 I have learned that you need to be careful and conscious on how you handle the ingredients because, remember: it's the health and safety of your kids that matters above all the fun and excitement. Always, always wash the ingredients, your hands and have proper materials ready. This is the 2nd most important tip to keep in mind. Always make sure that you use ingredients that are yummy and carefully prepared! Just like Frabelle Foods line of products! 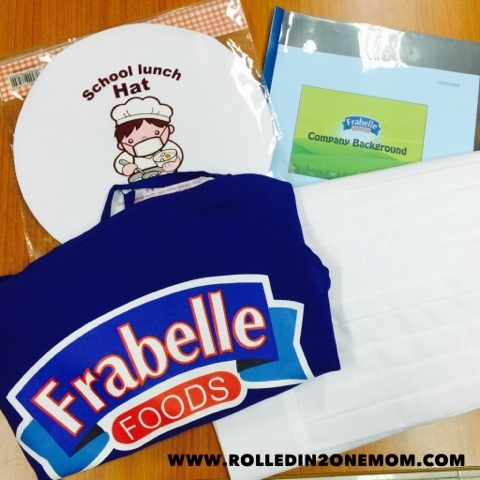 Here's a brief background about Frabelle Foods. Frabelle Group of Companies was a fishing company established in 1960's. The company was named after its' owners Francisco and his wife Bella. Since then, Frabelle has expanded operations to shipyard, aquaculture, canning, cold storage chain, food trading, seafood processing, meat processing, properties and power. 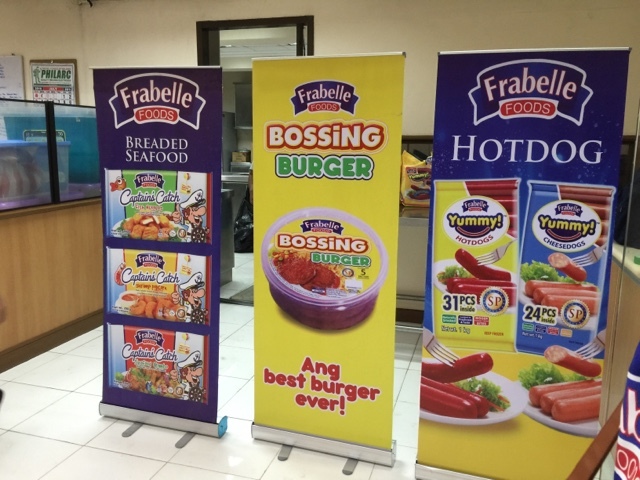 Right now, Frabelle Market Corporation and Frabelle Corporation are both involved in distributing marine products and processed meat products sold in key wet markets and major supermarkets. Aside from being able to attend a workshop in the far-off place of Navotas...hahaha...the bento workshop was something my niece and I will never forget. Not only did we get to bond with other mommies and their kids, but we also learned the simple and easy art of bento-making. 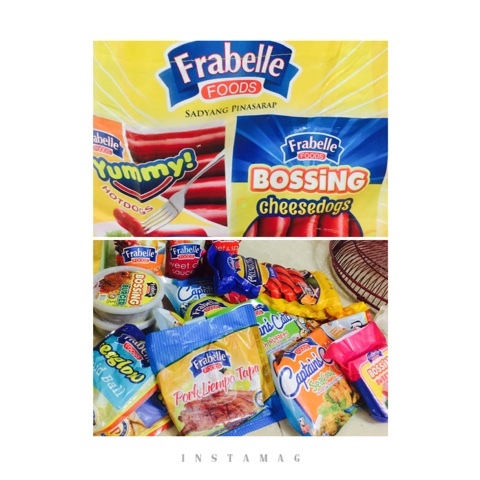 To know more about Frabelle Foods - visit their Facebook page. For the menu of the feature bento boxes - connect with me! This is a nice workshop. 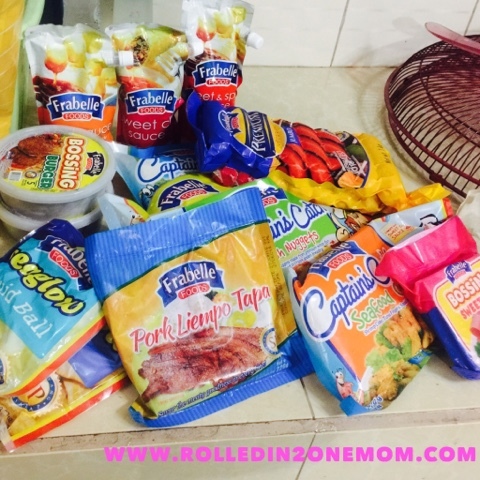 We're homeschooling so I don't really prepare baon everyday. But this is something i would want to try with my kids. I think this will be a great bonding opportunity for us. I really want to try bento making as well as calligraphy! I hope the time will come for me to join a workshop. My son is still 2 so we couldn't attend the workshop. I agree, kids nowadays are very picky sa food. Kahit ako nauubusan na ng ideas on how to get my 2 yr old eat what's on the plate. I'll keep these things in mind until the time comes na I'll be making bentos for my daughter. The creations are so cute! I really want to learn to do bento, but we're homeschooling so I can't practice it. I'll still keep these tips in mind though! I tried Bento making when my son was still in Kindergarten. It was fun pero tinigil ko nung grade schooler na sya since hindi naman nya need yung arte sa lunchbox nya haha. Kinakain nya kahit ano hinahanda ko. Super cute. Parang nakakapanghinayang kainin. Hahaha! 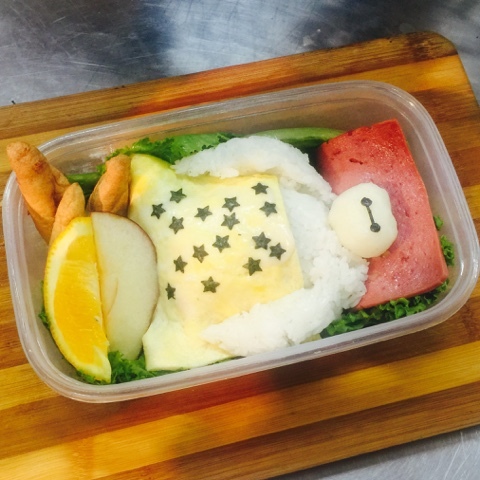 Bento box is really nice because aside from the good looks, it gives kids variety to eat in one serving. 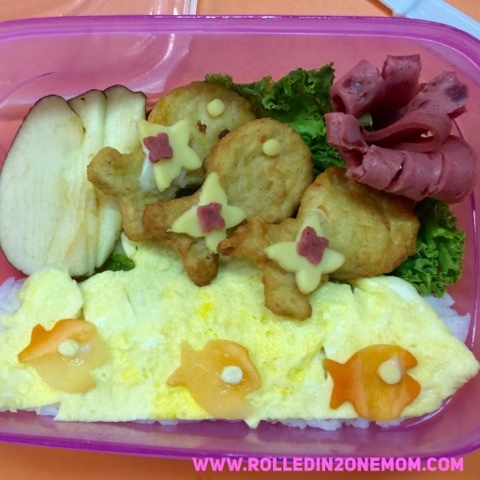 These bento ideas are really cool! Btw I love the hotdogs and chicken nuggets in the photos you have above, I also highly recommend those! Yummy! Nice bentos you got there! I can so relate about the challenge of making your children eat healthy. XD Even now that my kids are teens, the struggle continues! Ive tried bento making only once, and I wish to know more about it. Good thing that there are events these days that are helpful to us moms! One of the workshops my little man and i trily enjoyed. Such a fun workshop and very useful for us moms. Now, my boys looks forward to eating his lunch baon because he is always excited opening his lunch box. My daughter loves Bento too! I wish I have time to join bento workshops too! The bento all look too pretty to eat! I remember watching a Chinese movie that people who were served a very beautifully-designed food cannot eat it out of admiration and respect. Good thing your niece loved it!